It has been a year already huh? 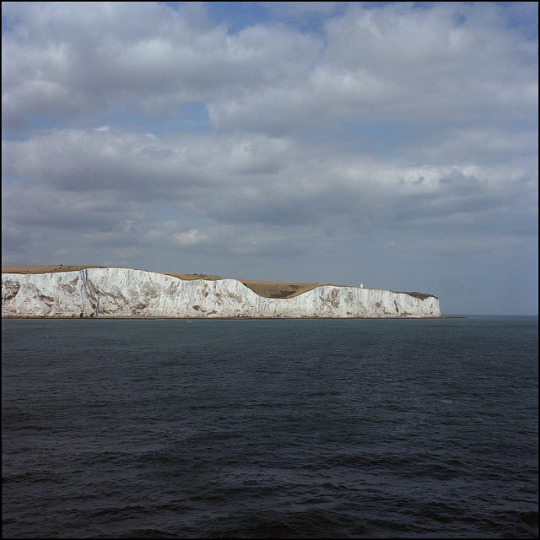 Today marks a year since I moved to UK. Many people have done this before, its not so rare or especial in fact it is pretty common, nevertheless not many people do it if is not out of necessity or because of their employer. In my case the reasons were simple; I wanted the experience of living in another country, a change of scenery and of course some career improvements. This wasn’t a sudden idea, (I rarely take impulsive decisions) I wanted this for over 8 years so it was a no brainer when the opportunity materialized, it was a matter of doing it before life became more complicated or regret it forever. Since this is not a public statement about my reasons or anybody else’s for taking such a step but an exercise to somehow celebrate the date I should reflect on it. To quickly sum it up I’ll say the whole journey has been really good, in fact if it wasn’t for taking the time to look back and ponder about the future to write this, I would not be remembering all the problems and difficulties I had and the challenges ahead (yes still I have them). Lets be honest this is not one of those popular spanish tv programs where spaniards living abroad tell how perfect their life away is and how nice everything was, don’t believe those! This is not easy even when you have a plan and it works, so imagine if you don’t have a one or you take a precarious decision. All those things that I have encountered on this journey is why I said before that somehow I have counted the days, it has been a year of controlling complications and timing uncertainties, talking about them would be boring but the idea behind all this jabbering is that no matter how difficult it has been or if I finally have to cut this adventure short, I surely have enjoyed every minute of it and I will no doubt to do it again here or anywhere else. It has positively modeled me and I don’t regret it. Some days ago I received the bad news that the historic Khodynka aerodrome in Moscow and its small airplane collection was finally victim of the builders and their construction equipment. 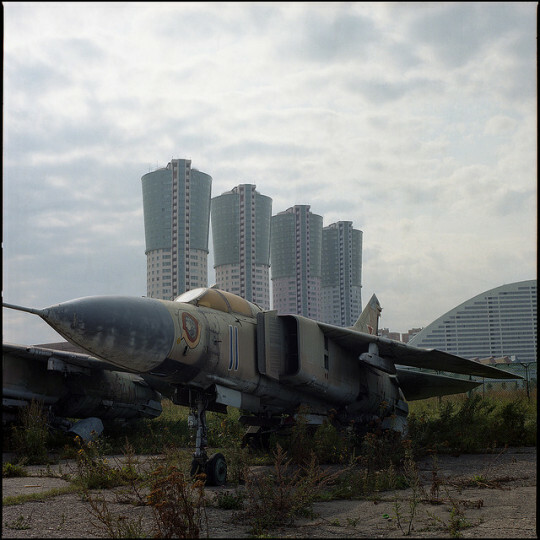 On the early hours of the morning the bulldozers made a pile of ruble out it, leaving no sign of the planes behind. The collection didn’t had unique pieces, but the planes were worth keeping historic or especial versions of the most known Russian military aircraft. Originally the collection was owned by the design bureaus that operated in Khodynka till they left the area and the collection behind to its fatal fate. I know it’s impossible to save every airplane left alone in the world, but there are cases in which destruction is a same to anybody that enjoys saving any kind of heritage and the Khodynka collection is sadly one of those cases, especially after resisting for such a long time in the middle of the ever growing Moscow. Por doloroso que sea buscar empleo, el individuo aprende mucho acerca de sí mismo y lo que hay ahí fuera, lo más importante es cultivar la conciencia de sí mismo. Creo que cuando las personas buscan trabajo, se vuelven más conscientes de lo que son. Es posible que tengan que ajustar sus expectativas, pero se vuelven más listos aprendiendo lo que funciona. Amen! Al menos así fue para mi. La visión que mantiene un gobierno sobre la economía puede resumirse en 3 frases cortas: si se mueve, aplícale impuestos; si continúa moviéndose, regúlalo; y si se detiene, concédele un subsidio. For previous generations, the film camera was simply taken for granted. Everyone loaded their cameras, got their films developed and photos printed by photo studios. It was an era when people poured their energy into photography for its own sake. However, while the number of snapshots has increased due to the spread of digital cameras and mobile phones, I feel that we are gradually losing that experience of absorption in photography itself. Recent cameras have become ever easier for people to use and have a wide variety of functions besides just taking photos. If it becomes no longer necessary even to focus my camera on an object with my own hands, I wonder what the photography of the future will be. 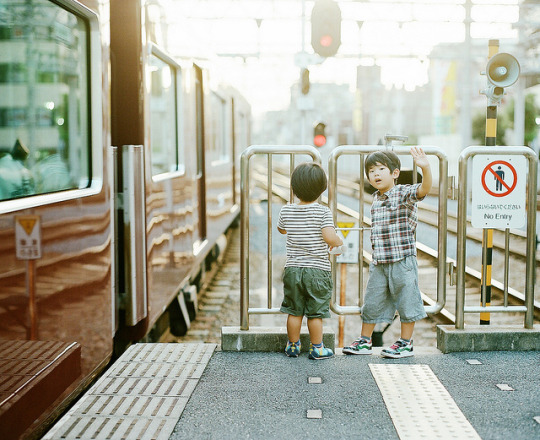 In film photography, you will certainly experience a feeling of excitement while you wait for your photos to develop. Perhaps you fear that you may not have taken the photo skillfully. Therefore, waiting to know if you succeeded or not is inconvenient and troublesome. But this waiting time is necessary. 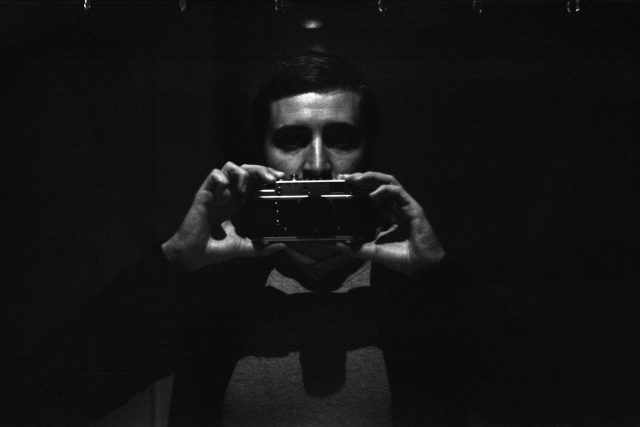 That is to say, it is a stance we take toward photography. The reason we like film cameras is that film somehow creates an appealing atmosphere. At the same time, however, digital cameras are convenient and have many useful functions. Both approaches are valid are worthwhile. But this is not exactly what I want to talk about here. I do not simply want to revisit the now-familiar debate over film vs. digital photography. Photography has the potential to capture the amount of time and conscious effort we put into it. It has nothing at all to do with analogue vs. digital methods. It depends on what you want to take pictures of, and what you aim to do. But if you enjoy photography, I may have a hint for how to think of it and spend your time doing it. Even when we use digital cameras, we may later notice something different if we can just break the habit of looking at the photos as soon as we have taken them. This is neither meant as criticism of digital cameras, nor as praise of film cameras. I just think that we need to take the time to think deeply about the process of taking photos. When I see decades-old photos which anonymous people took and left behind, I obtain a definite feeling of “something existed there”. Today as well, when I release the shutter, I hope to take photos like those. Fashion is what seems beautiful now but looks ugly later; art can be ugly at first but it becomes beautiful later. 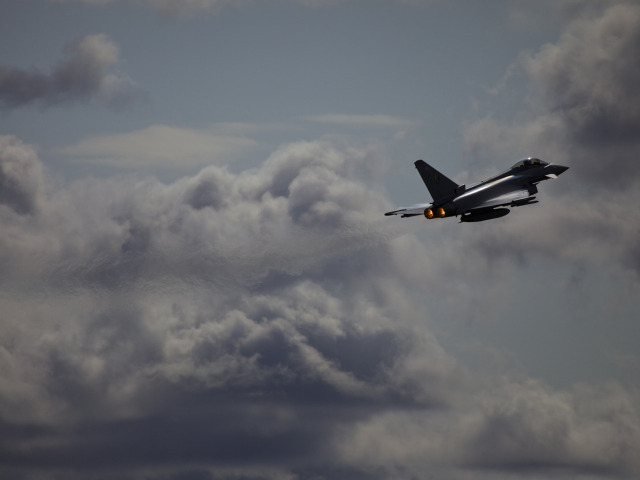 I won the second place on the Eurofighter Amateur Photography Competition which felt like a first place. Not only because is the first time I get any recognition of my photography, but especially because is an aviation photo and my expectations of winning where low. Also when I saw the eventual winner that feeling grew even more, competing against an amazing mach loop photo is quite difficult because nothing can match a photo of a fast jet flying low and fast in the loop. When I received the first email from the Eurofighter communications team asking questions about the photo I got really excited, all my careful planning selecting a suitable photo seemed to have paid off. First my Eurofighter material was small, -they are too busy in Libya lately- then it was important to have an action shoot which showed the Typhoon capabilities in some way plus being a visually impacting capture. To many variables that are not easy to get when most of the fast jet action at airshows is far and sparse, plus weather never plays ball, either you have a very dull background or a very dark situation. In this case I had almost all the components, the Typhoon climbing with full afterburner, the heat from the exhaust showing the path, dramatic storm clouds as background and some vapor starting to form at the wings. It was just lacking of closeness and quality, so I tried to surpass those flaws by doing a clever post processing to accentuate the good characteristics of the rest of the photo: Composition, dramatic clouds and engine heat. All that thinking and execution resulted on having a finalist photo, which is the outcome of all the time I put into photography in general, if I had applied the usual rules of aviation photography things would have been quite different. Profile photos of planes certainly are good for collecting registrations but does not make a good photo, neither the center framed and cropped to death photos do, its the whole package that makes a good photo, not the plain subject. All these is nothing new for seasoned photographers but is good to get all that into the head of some aviation photography screeners and shooters. Many thanks to all the communications team at Eurofighter Typhoon and congrats to Ian Ramsbottom for winning the competition, it was certainly a winning shoot. I have often said a bad day of photography is better than a good day of most things! When non-commissioned bird/sports/aviation photographers have reached the top of the range in “affordable” telephoto lenses and the need to upgrade itches, they soon realize that the upgrade path ahead includes breaking the piggy bank and making a big investment on a tool that usually doesn’t produce any return on investment. The main lens makers have an array of options that mostly fulfil the needs of demanding amateurs at a good range of prices, but are the top of the line which lacks of options, especially when you try to run away from zoom lenses. The lenses with f/4 and up on the 200mm to 400mm range is outdated or incomplete, plus the 200-400 zoom range is expensive enough to think about fast primes instead. It is easy to fill that gap or commercially viable? Probably not, but the problem is there, makers doesn’t have a clear market for advanced amateurs, their lines jump from the amateur to the professional without half steps. So here is my case; I am one of those photographers with the problem I stated above, wanting the next step lens and finding that the only route is investing the savings on a fast fixed telephoto lens. Thus after spending many hours on the Internet writing notes and doing numbers I decided that the solution was to get a 300mm f/2.8. The reasoning behind was that the 300mm lenses are in middle of the all the choices price, size and specs wise. - The 300mm can still be handhold for steady shooting and long sessions, while 400mm to 600mm lenses are not. Perhaps you can manage to shoot a few frames with those but not much more. - Fast and sharp enough to work well with teleconverters without losing all the photographic features you expect from such a lens (with or without the converters). 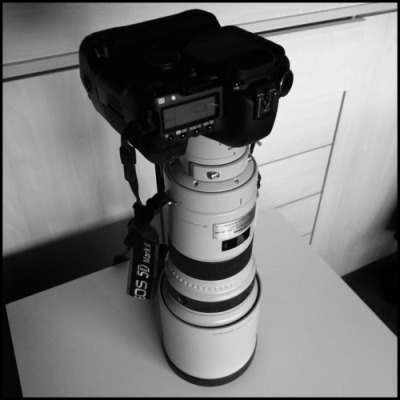 - The least expensive of the 300mm and up range, also there is plenty of second hand market in order to find a deal. - While you may think that 300mm is not enough, take into account that with 500-600mm you can easily “eat” your subject and when you pretend to cover certain distances with a lens, size is never enough anyway. At some point your subject will be small enough. - Versatility, when going up the range the lenses become too specialized in telephoto shooting, while 300mm can still be used for closer subjects, even for portraits and again easily extended with teleconverters. As with everything in photography, equipment is not the solution to all your problems neither everyone needs are the same, but this has been my reasoning for the biggest lens purchase I have ever made for personal work, hope it is of use. 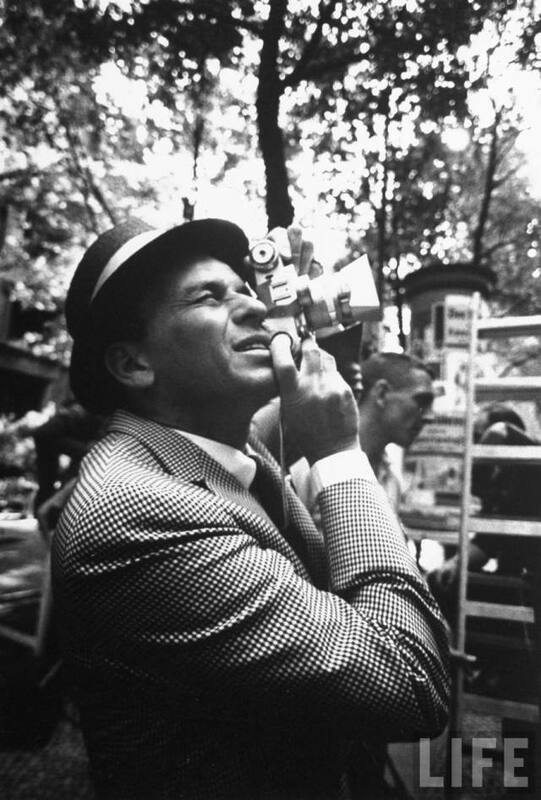 The title of the movie perfectly fits Sinatra as a legend and also photography as a medium that captures moments. Just from the moment the shutter is released the capture freezes to eternity. I couldn’t agree more with her. Check my flickr group dedicated to the subject. 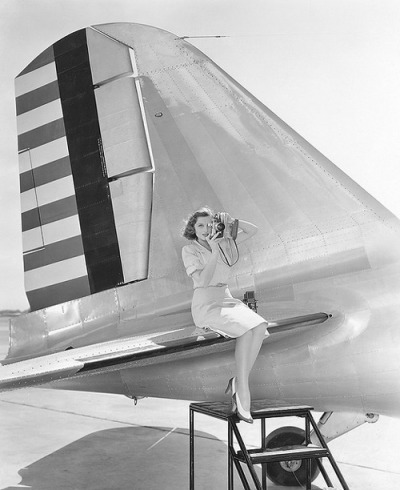 Publicity still from the film “I Wanted Wings”, model: Constance Moore. The forgotten photo of the week could be simply titled, “when light and simplicity makes a great photo” and there will be no need to say more. 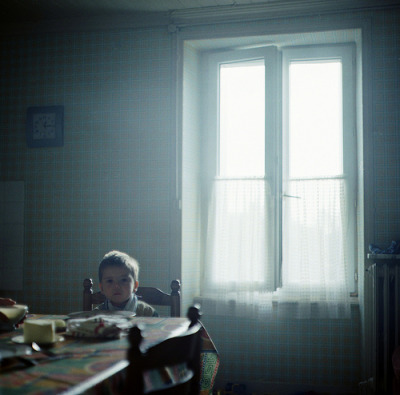 Anyhow I have to say that Eilwenn has become a master at applying the recipe to great success, like in this photo, where two simple subjects -a kid sitting at a table and a bright window- say a lot to the viewer. 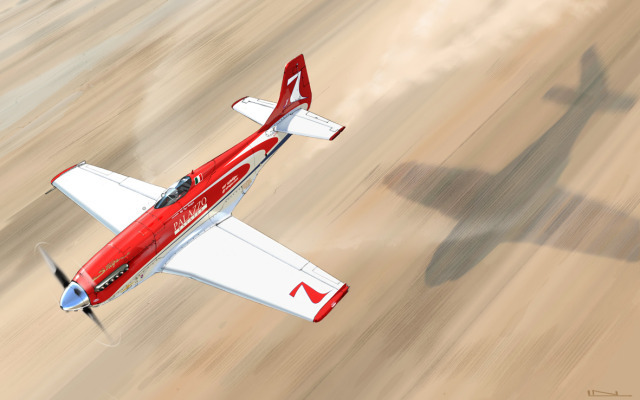 Cool aviation artwork, this could be an amazing one to have framed on the wall. Technologist and aviation nut, using photography as a creativity fix. © 2009-2019 Alvaro Muñoz-Aycuens Mtnz. - www.aycuens.com - Some Rights Reserved.